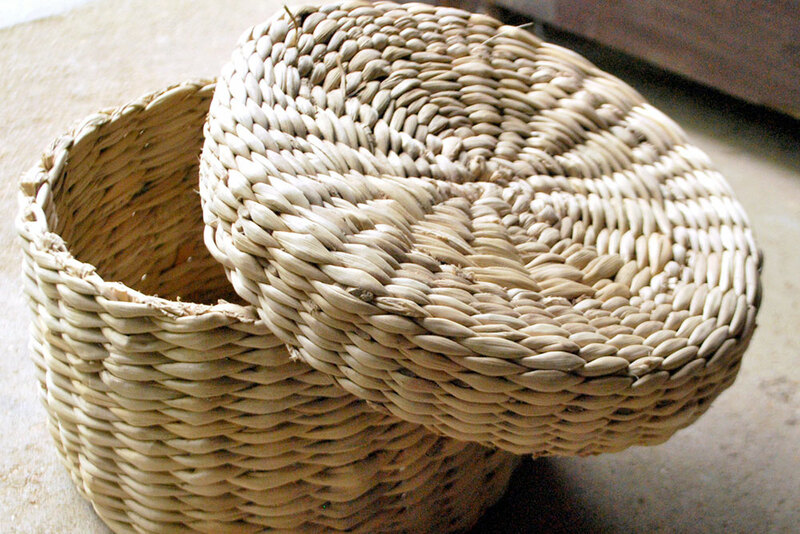 Fruit basket woven using the double twined pattern made of banana stem and bamboo. 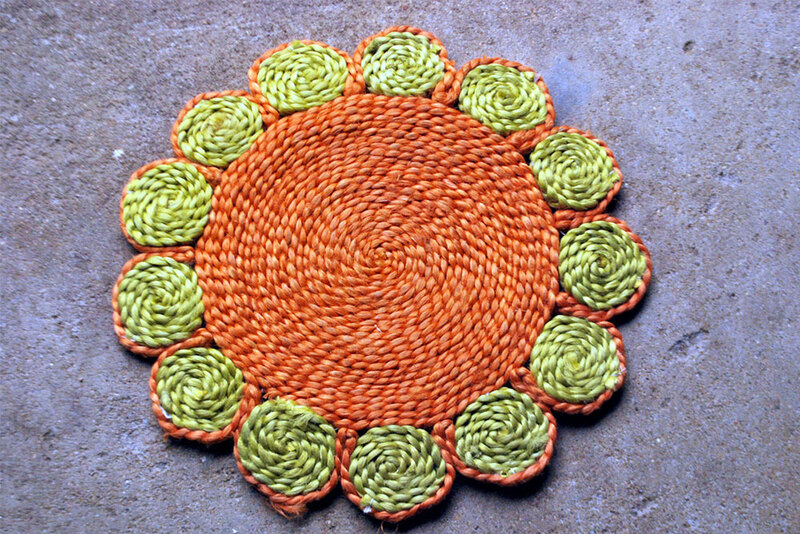 A table mat made of dyed Kora grass twine. 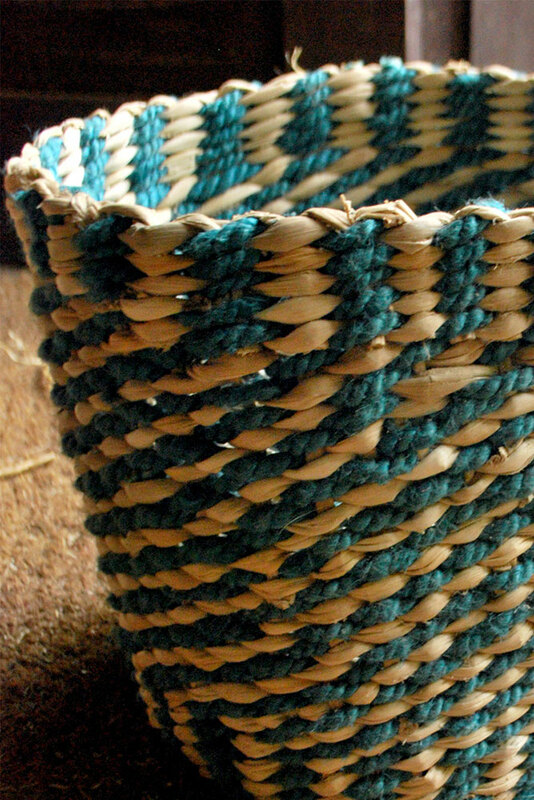 The dyed grass, the patterns and the stem together enhances the surface of the basket. 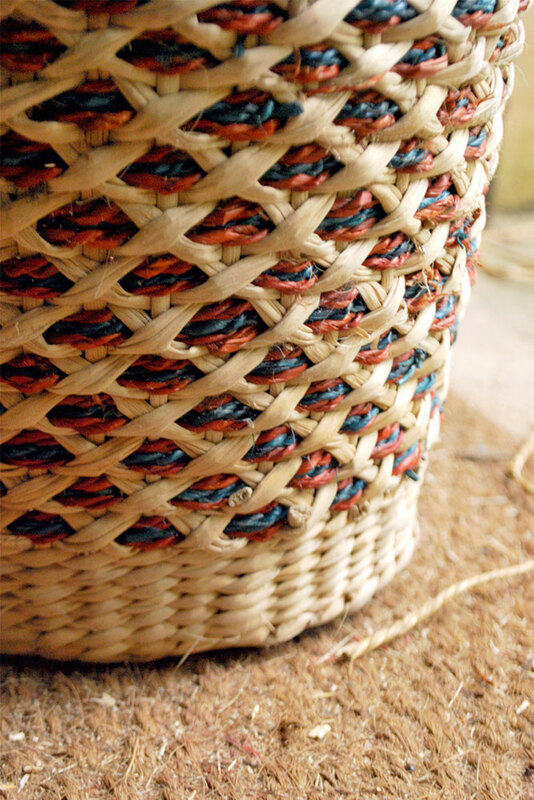 The artisan skilfully weaves the combination of different patterns and shades with great precision. 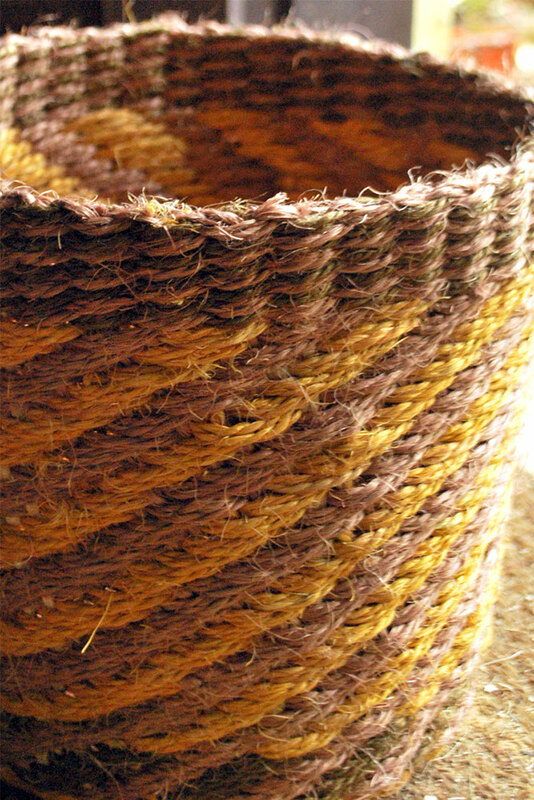 The coir is woven in diagonal pattern in multiple shades to adorn the basket. 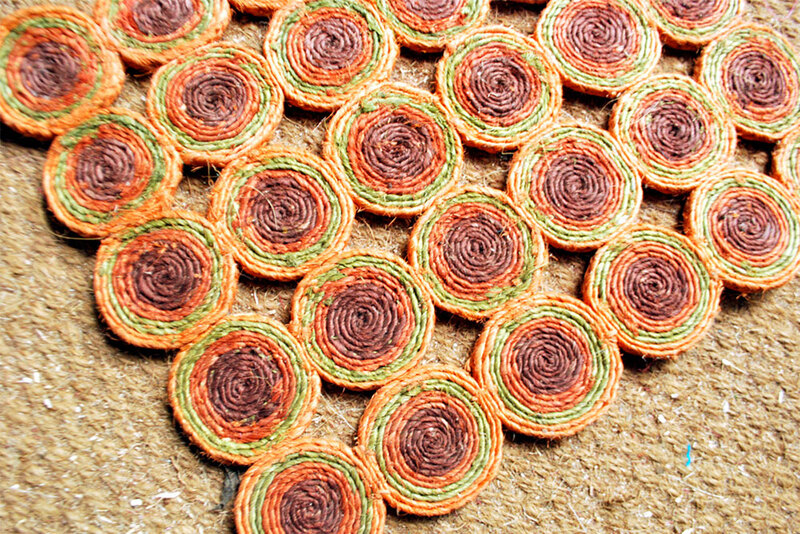 A colourful centre table mat. 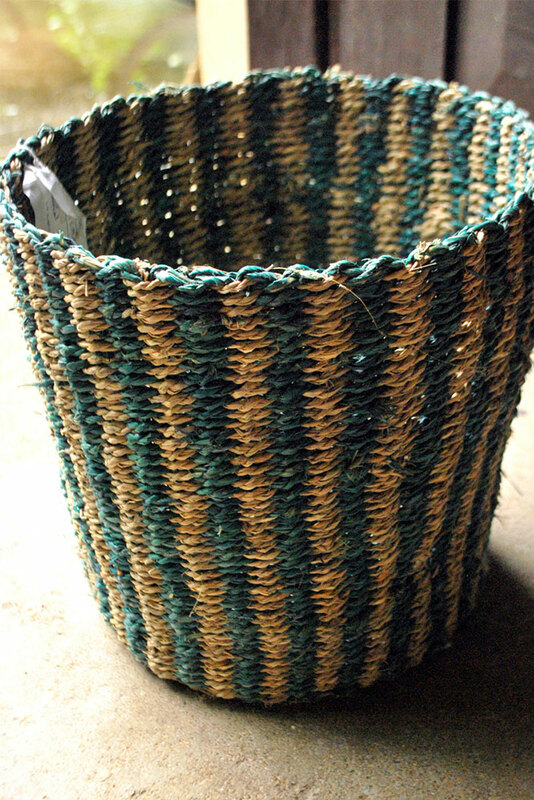 The double twined pattern with dyes is used to make the waste basket. 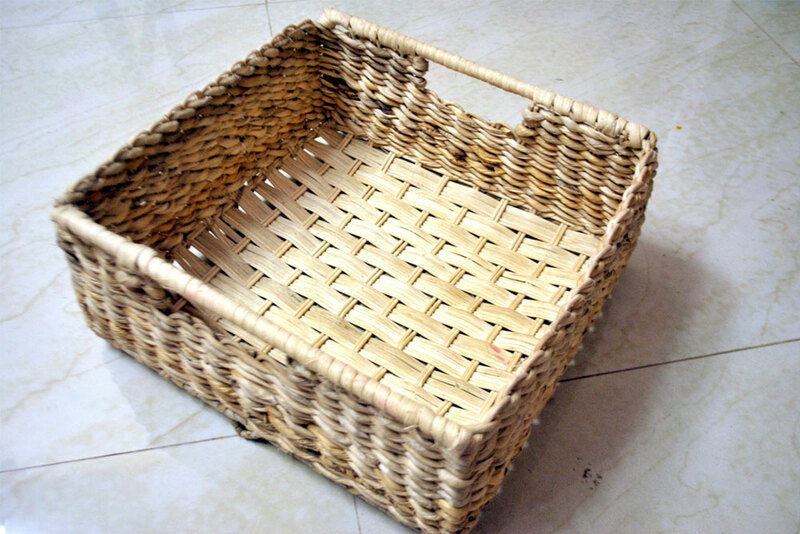 A basket with a lid made of banana stem. 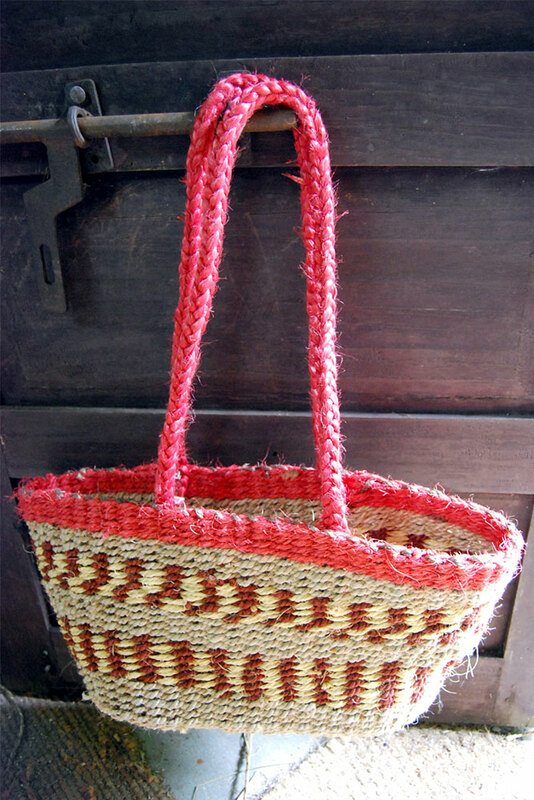 A bag made of dyed Sisal fibre and Kora grass twine. 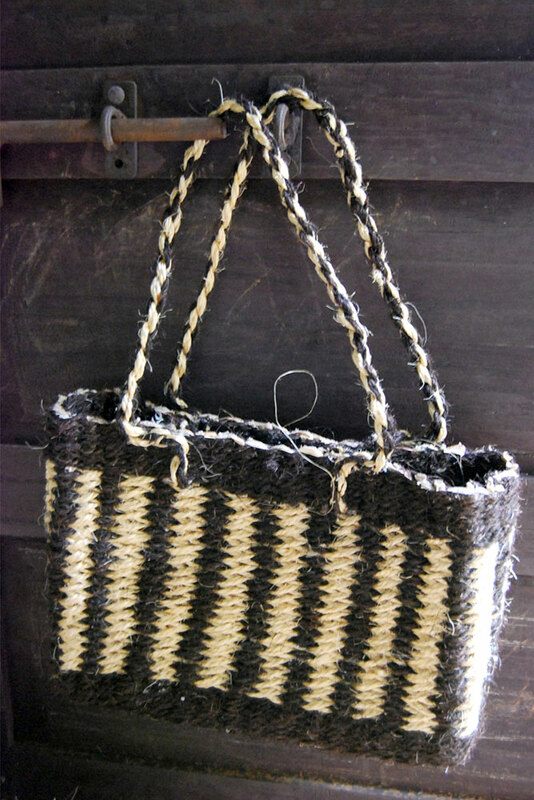 A bag made of all the three fibres – Kora, Sisal and Banana stem. 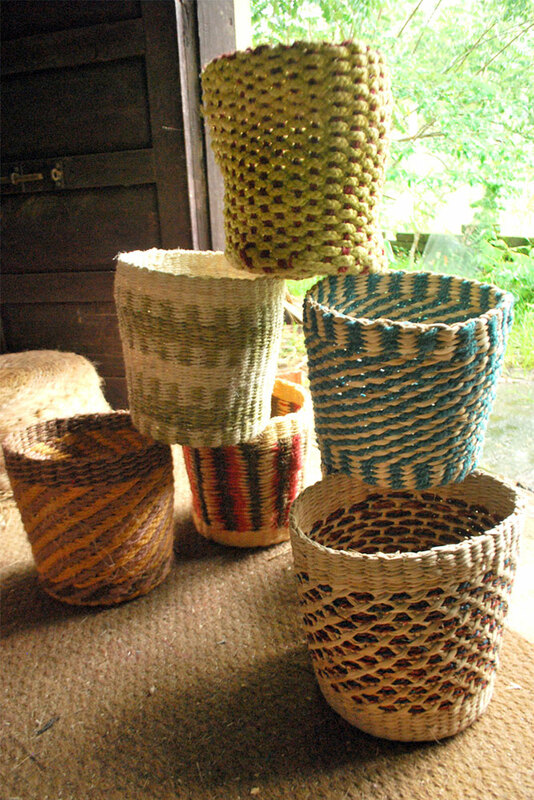 Different colours of dyed thread and banana fibre are used to make different patterns in order to achieve better designs for house hold items. 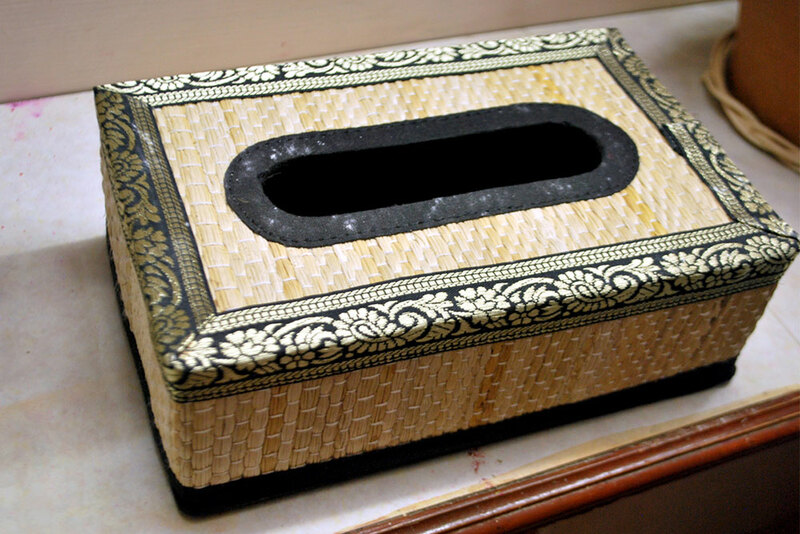 The tissue holder is aesthetically sewed and ornamented with zari work. Kerala produces various fibres which are available in abundance, except the banana stem and fibre. The fibres are used to make a variety of products which can be used for domestic purposes and as embellishments for the interiors and exteriors. These products are durable, eco-friendly and easily available. The process of making this craft is simple and easy for production. The products are designed and weaved using various patterns to enhance the product. The banana fibre is extracted from the banana stem.The products made from banana fibre and stem are smooth, delicate and has a good finish.The banana stem is cut, and the juice is extracted and flattened to make the stem flat for weaving. For flexibility, the banana stem is partially dried in sunlight for 2-3 days depending on the climatic conditions.The inside of the outer layer is used for weaving. It is dyed depending on the requirement.